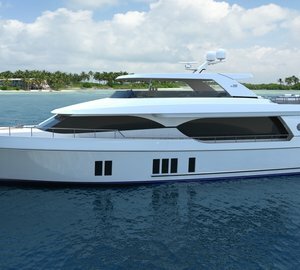 During this year’s Fort Lauderdale International Boat Show (FLIBS), Ocean Alexander hosted an amazing party to celebrate the launch of the all-new motor yacht Ocean Alexander 100′. Beautifully designed by Evan K. Marshall, superyacht OA 100 is a natural next step from the highly successful Ocean Alexander 90 yacht. She has been designed with luxury yacht chartering as a high priority. Below is a video showing the party for Ocean Alexander 100 at FLIBS 2014, released by YachtVid – a video production company, dedicated to providing interesting, informative and entertaining action yacht videos. 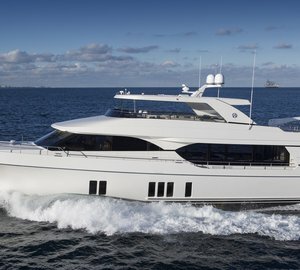 Please contact CharterWorld - the luxury yacht charter specialist - for more on superyacht news item "Video by YachtVid: Party for new motor yacht Ocean Alexander 100 at FLIBS 2014".